If the workpiece to be clamped has only a short clamping base or if the diameter to be clamped has a very large tole- rance, system SZ is used. 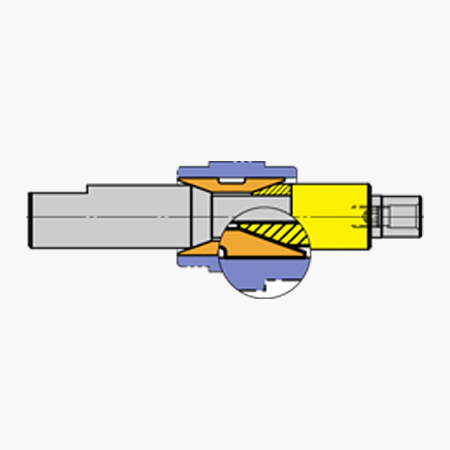 By applying an axial force a slitted collet is radially expanded by a cone. Simultaneously an axial movement occurs. The workpiece is being clamped.